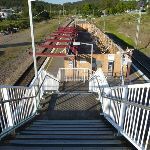 From Teralba station (at the top of the overpass steps), this walk follows the railway bridge steps south, initially keeping the station building on your right. 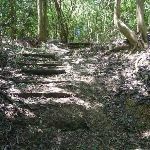 This walk follows the steps down and heads along the footpath for about 30m, to find a ‘Great North Walk’ sign. 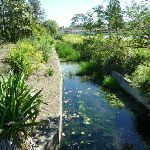 This walk then follows the ‘Newcastle’ arrow across William St, coming to a GNW arrow post on the intersection of William St and Anzac Parade, opposite the ‘The Great Northern Hotel’. 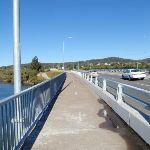 Continue straight: From the intersection, this walk follows the footpath alongside Anzac Parade gently downhill, past ‘Teralba Fire Station’ (on your left). 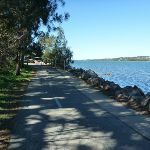 The walk follows the footpath for about 80m to pass ‘Anzac Park’ (and toilets opposite the road on your right), then continues straight ahead for about 200m crossing York and Margaret St, to come beside ‘Teralba Lakeside Caravan Park’ (on your left). 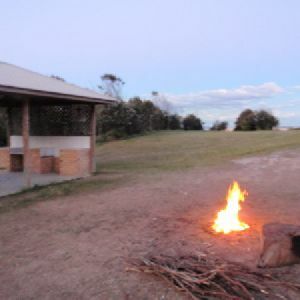 Teralba Lakeside Caravan Park at 21 Anzac Parade, Teralba has unpowered tent sites ($20/night), standard cabins ($90 for 5 people) and deluxe cabins ($125 for 7 people). The manager is available from 8am till 8.30pm. 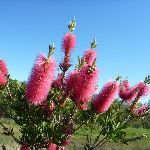 For more information, phone (02)49585370. 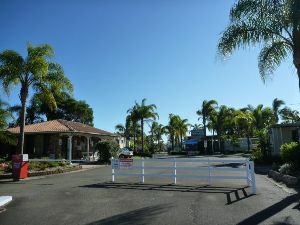 You can grab a meal or beverage from the ‘Great Northern Hotel’ or grab a snack from the local servo, just up the road. 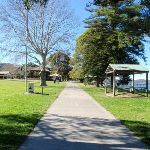 Continue straight: From the ‘Teralba Lakeside Caravan Park’, this walk follows Anzac Parade gently downhill, initially keeping the caravan park on your left. After 160m this walk then turns left (following the GNW arrow post) into ‘Lake Crescent’ (just before the larger Five Islands Road). 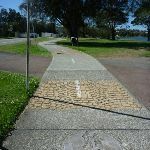 This walk follows ‘Lake Crescent’ for 130m, until coming to the end of the road and a shared footpath/cycleway. Continue straight: From the end of Lake Crescent, this walk follows the footpath, keeping the large Five Islands Rd up to your right. 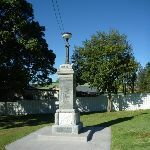 The walk follows the footpath for about 250m, until coming to a T-intersection with another footpath (beside the ‘Raymond Smith’ concrete monument). 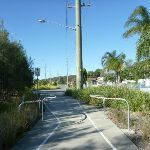 Turn right: From the intersection, this walk follows the GNW arrow post along the footpath and through the underpass. 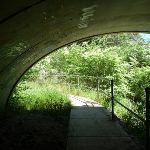 Just after the underpass, this walk heads gently up the ramp to come beside Five Islands Rd. 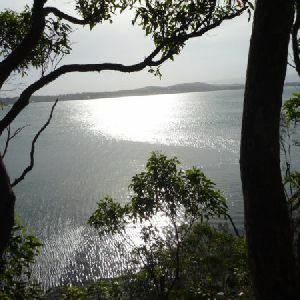 Here, the walk turns right to follow a footpath for about 900m, crossing over a two bridges and an island (two arms of Cockle Creek). 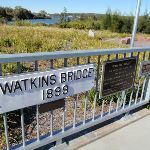 On the far side the second bridge (Watkins Bridge), this walk comes to the intersection with another footpath, marked by a GNW arrow post. 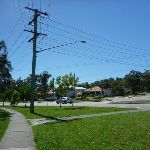 Turn right: From the intersection, this walk follows the GNW arrow post gently downhill along the footpath towards the water, while keeping the playing fields on the left. 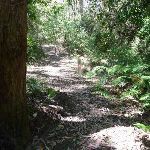 The walk continues on the footpath (beside the bridge), to then bend left and lead along side a small road and Cockle Creek (on your right), until coming to a road crossing with Creek Reserve Rd, on the far side of ‘Macquarie Field’. 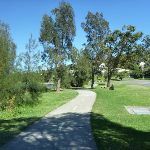 Continue straight: From the intersection, this walk follow the GNW arrow post across Creek Reserve Rd and follows the footpath through Speers Point Park passing the ‘Walk Safe’ sign (on your right). 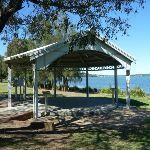 The walk continues through Speers Point Park for about 500m, past picnic shelters, a stage, a wharf to then cross the road beside ‘Speers Point Swimming Pool’. The walk continues on the footpath, with the water on the right for about 300m to pass the War Memorial. 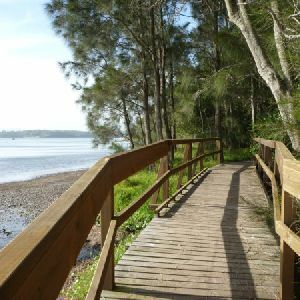 Here the walk continues along the waters edge for 2.5km to pass a car park then cross ‘North Creek’ on the road bridge. 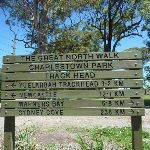 Continue for another 100m, through the park, then just past the toilet block the footpath leads to a large ‘Great North Walk – Warners Bay Trackhead’ sign, beside the traffic lights. 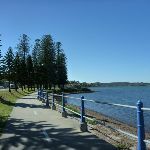 Warners Bay is a large, open bay on Lake Macquarie, with a public park and small shopping centre nearby. There are cafes and restaurants with alfresco dining, the ‘Centro’ shopping centre, specialty shops, boutiques and a post office. 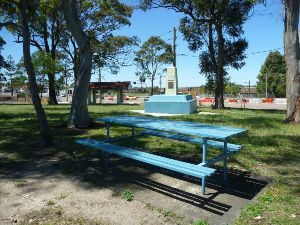 The public park on the lakeshore has a shared bike/walking path, picnic tables, barbeques, toilets and water. A-must-stop ice cream shop on the Esplanade is Dippin Dots, they have a unique ice cream that has been made using super-cold freezing methods to make little beads of ice cream. 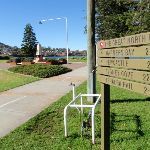 Turn left : From the intersection, near the toilet block this walk follows the ‘Charlestown Park’ sign across The Esplanade using the pedestrian crossing. On the other side this walk turns right and follows the footpath for about 160m (past ‘Dippin Dots’ ice cream shop) until coming to the intersection of The Esplanade and King Street(at the large roundabout). 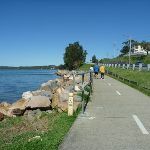 Turn left: From the intersection, this walk follows the footpath gently uphill alongside ‘King St’, heading directly away from the water. The walk follows King St (passing traffic lights and a roundabout) and heads towards Cardiff for about 300m, to find a set of traffic lights, at the Caltex Servo. Here the walk crosses King St (using the pedestrian lights) and follows the footpath through the nature strip to find Queen St and a GNW arrow post (Queen St is a minor street running parallel to King St) . 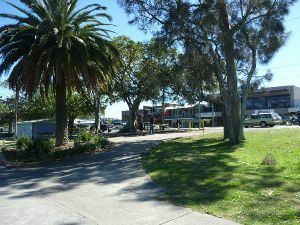 Turn left: From the intersection, (near the King Street crossing), this walk follows the footpath beside Queen Street, past the fruit store , keeping King St to your left. The walk continues along Queen St for about 500m, crossing ‘Pring St’ to the grassy area at the end of road. 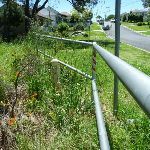 From here the walk follows GNW arrow post along the footpath, along the grassy verge to come to the northern section of ‘Queen St’. 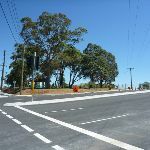 The walk follows ‘Queen St’ for another 170m, to turn right and follow ‘Myles Ave’ for about 80m, until coming to a three-way intersection with Yorston St (on the right). Continue straight: From the intersection, this walk follows the grassy verge beside Myles Rd gently uphill, initially keeping Yorston St on your right. 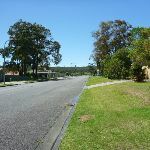 This walk continues to follow Myles Rd and GNW arrow posts for about 700m, first crossing ‘Bonarius St’, then crossing a few few more side streets until coming to an intersection, with ‘Vermont Place’ (on the right). 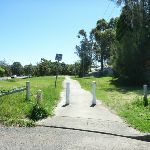 Turn right: From the intersection, this walk the footpath down a small dip then gently uphill alongside ‘Vermont Place’ for about 100m, until coming to the end of the street on the edge of of a grassy park. 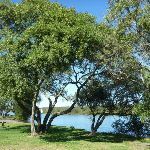 Vermont Place Park, at the end of Vermont Place in Warners Bay, is an open grassed park surrounded by native forest. 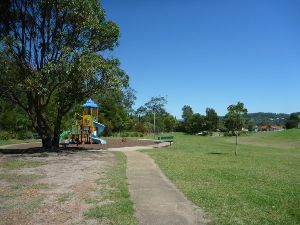 The park has a children’s playground, picnic table, a shelter and water fountain (water may not be available). 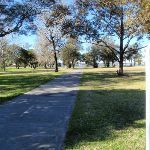 Continue straight: From the end of Vermont Place, this walk follows the GNW arrow post, along the footpath through the gate and into the park. 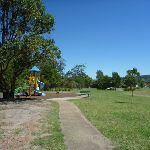 The footpath leads around the edge of the park, past a playground then continues around the back of the oval for another 80m, to an intersection with a management trail, marked with a gate and a ‘Great North Walk’ sign. 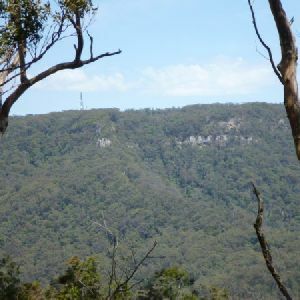 Turn right: From the edge of the park, this walk follows the ‘The Great North Walk’ sign through the locked gate heading moderately steeply uphill along the management trail, through forest. The walk follows GNW arrow markers (ignoring side tracks) for about 350m, to an intersection, with a track on the right. 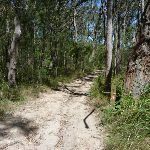 Turn right: From the intersection, this walk follows the GNW arrow post east gently uphill along the eroded track. 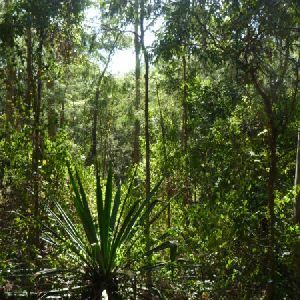 The walk continues for about 220m, to find an open area with overhead power lines. 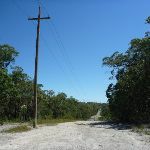 This walk then crosses underneath the power lines (following the GNW arrow markers) and leads gently downhill for about 500m, until coming to an intersection, with a track on the left (about 10m after a deeply eroded section of track). 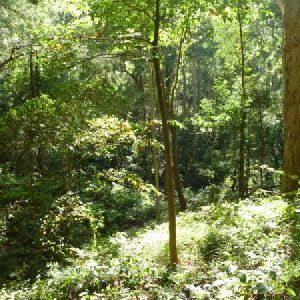 Continue straight: From the intersection, this walk follows the GNW arrow post south, gently downhill along the narrow track. 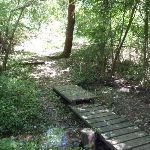 This walk continues to follow the track for about 250m, passing views of the golf course (on the left), to cross a timber footbridge. 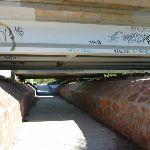 Here the walk continues alongside the golf course for about 1.3km, to then lead down through the West Charlestown Bypass underpass. On the other side of this road the walk continues gently uphill for about 500m, to an intersection, with E K Ave. Turn left: From the intersection, this walk follows the GNW arrow post gently downhill along the concrete footpath, beside E K Avenue. 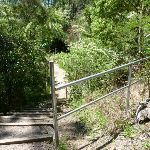 After about 70m this walk comes to GNW arrow post at the signposted bus stop). 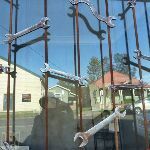 Turn right: From the bus stop, this walk follows the GNW arrow post, across E K Ave to then follow the indistinct track alongside a new development (on your left). 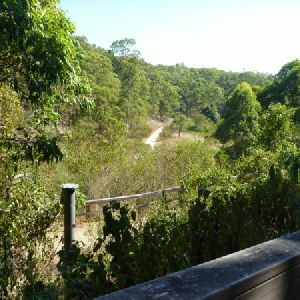 The walk follows the forested creek (on your right) and the edge of the development for about 160m, to veer right at an intersection marked with a GNW arrow post. 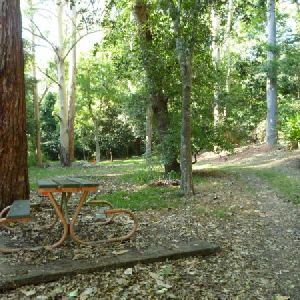 The walk follows this track gently downhill for about 120m, to cross a timber footbridge, then continues alongside the creek for almost 200m, to find the end of Park St.
Continue straight: From the end of Park St, this walk follows the footpath gently uphill for about 70m, past three houses to come to an intersection with a track (between the houses), on your right, marked with a GNW arrow post. Turn right: From no. 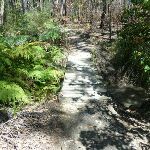 72 Park St, this walk follows the GNW arrow post between the house following the grassy track gently downhill. 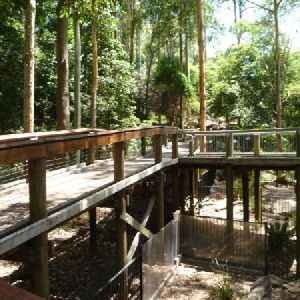 The track leads down timber steps through dense forest for about 130m, to cross an flat concrete footbridge. 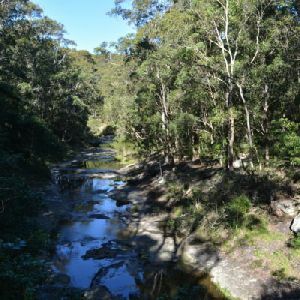 The track then leads up the moderately steep hill (with the creek on your left) for about 150m, then leads more gently uphill for a further 250m, to cross the creek at an flat timber footbridge. 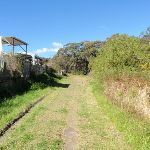 The walk continues (with the creek now on the right) for about 170m, to come to grass clearing behind some houses. Here the walk turn right, following the GNW arrow post gently uphill for about 80m, until coming to a T-intersection, with Anjon St. 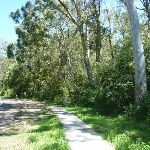 Turn right: From the dip in Anjon St, this walk follows the GNW arrow post south along the grassy verge beside the street, initially keeping the bush reserve to your right. 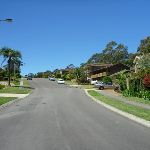 At the top of the hill, this walk crosses ‘Patricia Ave’ and turns left to follow the footpath for about 250m, to turn then right at a roundabout into ‘Lincoln St’. 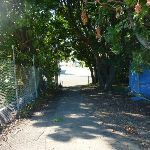 This walk continues uphill along side ‘Lincoln St’ for about 170m, over a rise and crosses ‘Carl Cl’ to head gently downhill for about 50m, until coming to an intersection, with traffic lights at ‘Pacific Highway’,  beside ‘Charlestown Park’. 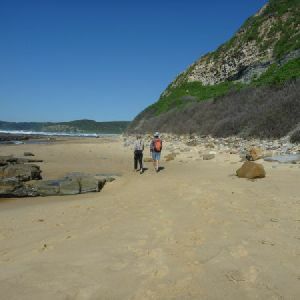 8km of this walk is flat with no steps and another 3.9km has gentle hills with occasional steps. 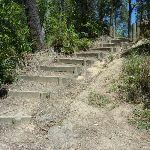 The remaining (1.1km) has short steep hills. 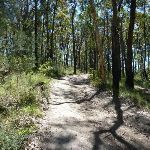 8km of this walk follows a smooth and hardened path and another 4km follows a formed track, with some branches and other obstacles. 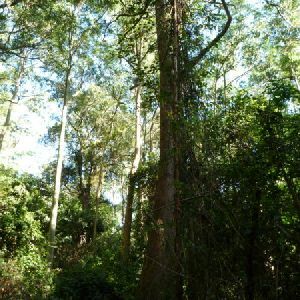 The remaining (1.1km) follows a clear and well formed track or trail. Around 9km of this walk is clearly signposted, whilst the remaining 4.4km has directional signs at most intersection. 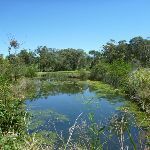 Around 12km of this walk requires no previous bushwalking experience, whilst the remaining 1.4km requires some bushwalking experience. 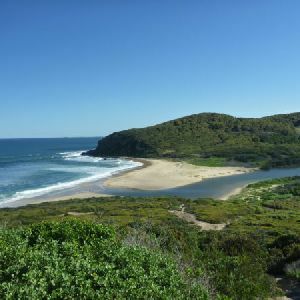 Around 12km of this walk is close to useful facilities (such as fenced cliffs and seats), whilst the remaining 1km has limited facilities (such as not all cliffs fenced). 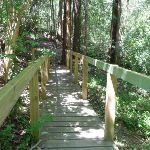 A list of walks that share part of the track with the Teralba to Charlestown Park track head walk. 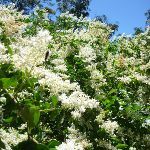 A list of walks that start near the Teralba to Charlestown Park track head walk. 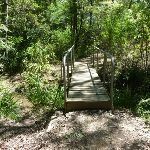 http://new.wildwalks.com/wildwalks_custom/includes/walk_fire_danger.php?walkid=nsw-glenrosca-ttcpth Each park may have its own fire ban, this rating is only valid for today and is based on information from the RFS Please check the RFS Website for more information.